Whilst I play it quite safe with my 'one face fits all' make-up, I'm a little more adventurous with my hair in terms of styling. 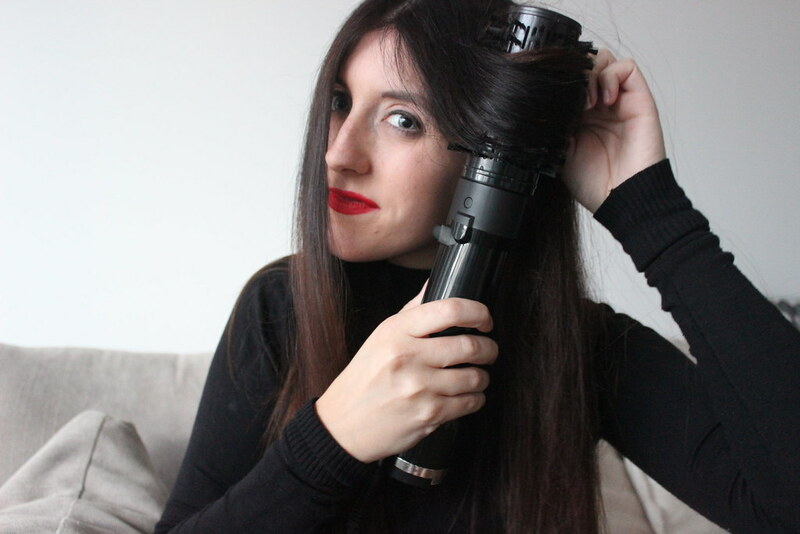 So when I got my hands on the Babyliss Big Hair styler* it was like Christmas had come early. So what's the lowdown? 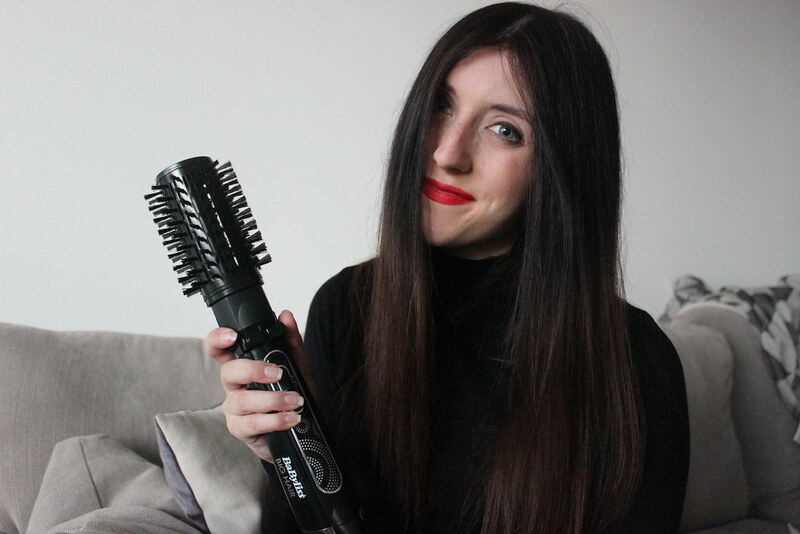 It retails around the £45 mark and claims to "add dramatic volume and shine to styles and replicate a salon perfect blow-dry at home." In terms of my hair, I have naturally straight hair, I used to blow dry it but now most days I'll leave to dry naturally and rock 'day after hair' the next day. So that's how I've been using it. I'll let my hair air dry for 70/80% and then plug my Babyliss Big Hair in. I'll hold my hands up, I'm not the best below drier, I've never mastered the salon technique so I do my own 'Stacey blow dry.' Luckily, the Babyliss Big Styler takes away a lot of the technique stress. There's three settings: cool, medium and high - I rarely use the cool setting but focus on the top two. The top setting comes with a faster turn so just be conscious about that. I watched a few videos before giving it a go myself (Fashion Influx and Tanya Burr I'm looking at you) - so if you have this tool - do check those out. I'm not a fan of a curly blow dry, so it was a straight job for me. 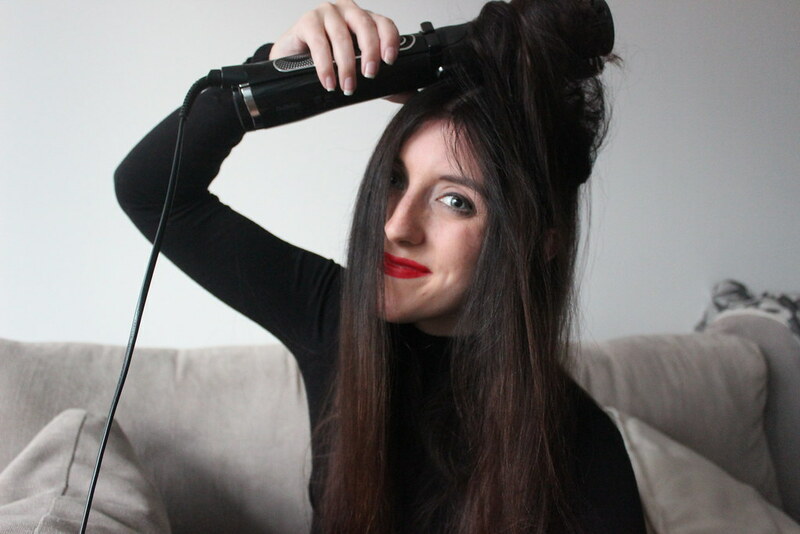 I find it best to keep the brush rotating before diving in, so after switching it on I let it naturally grab the ends of each stand of hair (if you've got long hair like me, sectioning is a must). 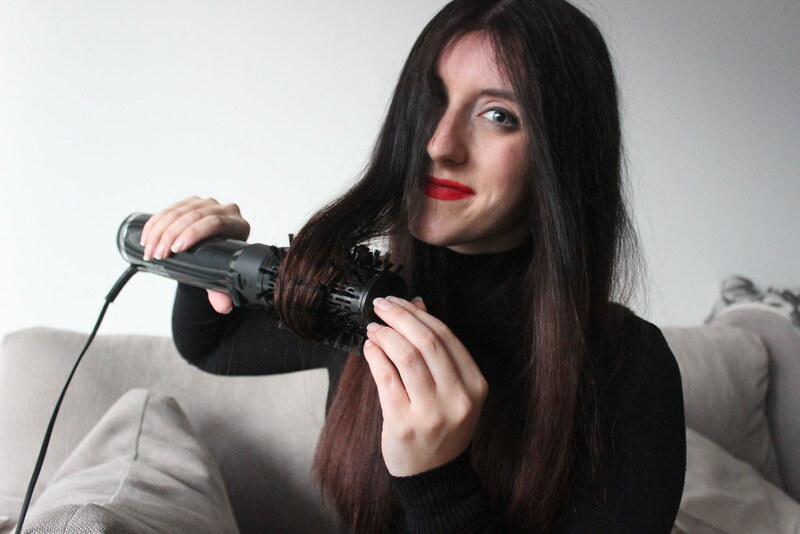 The brush will then make its way up the hair shaft to your roots but you will need to guide it whether you want it to stop and hold at the top or rotate back and forth down. As I was after a sleek blow, I didn't hold it too long at the top as it gives me more of a flick that way. 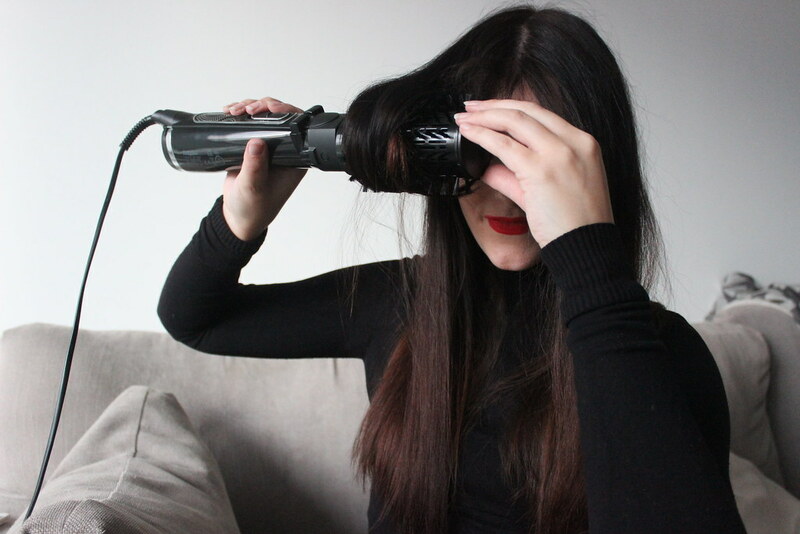 There's two rotating buttons which will take the hair under either way - so take some time to familiarise yourself with those - I used both to really get rid of any frizz I may have following a hair wash. Did I get my hair caught? Yep a few times but never stuck, if you find the rotation too powerful, don't panic, it will just as quickly release your hair as it did roll it up. If you're new to it, maybe stick to the medium setting whilst you get used to the tool. 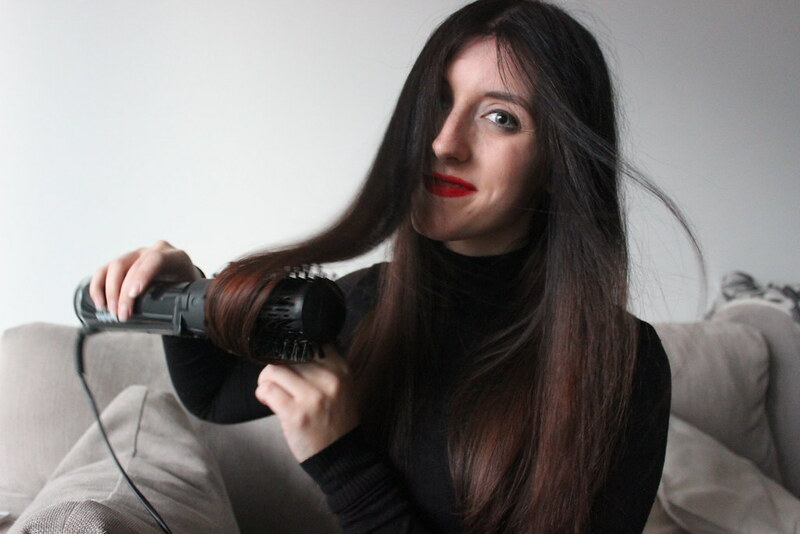 The product sounds like your regular hairdryer (literally) but it's much lighter, making more of an actual pleasure to use and a great size and weight for weekends away. You can also use it to create the bigger styles so it can tick two blow dry boxes making it multi-use. It does take a little getting used to but once you do you can achieve (for me) amazingly sleek locks without having to go to the salon. My hair was super light, soft and sleek with no flyaways. I don't spend much time drying my hair during the week so this is definitely a weekend treat and one if you're into your blow dries - I whole heartedly recommend. Want to know more? You can get your hands on on here.